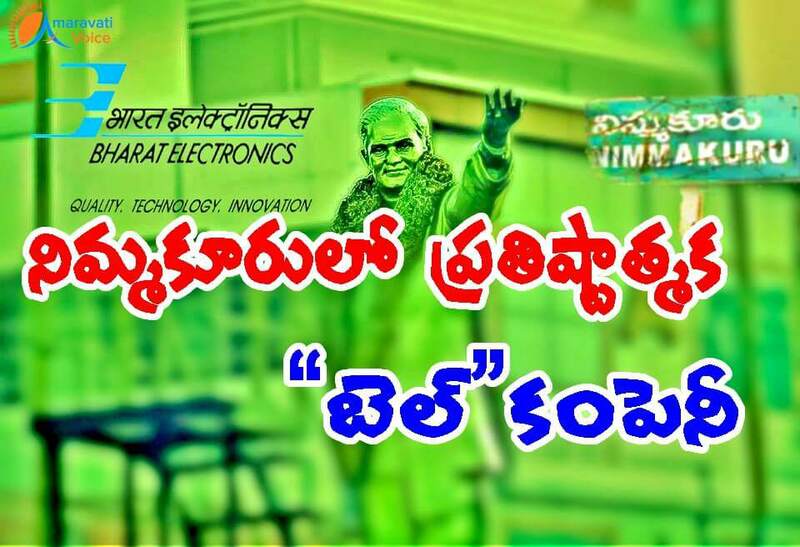 Bharat Electronics Limited (BEL) is going to Set up a Rs.300-crore Plant at Nimmakuru in Krishna District. The foundation stone also would be laid very soon and the plant would come into operation in three years. IR seekers, night vision devices and thermal imaging cameras would be manufacture here. The foundation should be done on April 24th, but due to unavailability of BEL CMD Sunil Kumar Sarma. Around 50 acres of land has been given to this project. Approximately, 1000 jobs would be created. This would be the second manufacturing facility after Machilipatnam in Krishna District, which is getting a turnover of around Rs.500 crore.